Berdyansk, a southern city warmed by the sun and set amid azure waters, is called the gem of the Azov Sea. This resort, known for its beaches, climate, and healing mud, is among the most famous in the south of Ukraine, and its qualities make it an ideal spot for relaxation. The city’s history began in 1827, when by order of the southern region’s ruler, Earl Vorontsov, the construction of a port started in the Berdyansk Gulf. In his view, this place was perfect for a seaport, which the Russian Empire needed to export wheat. Next to the port’s construction site, a small settlement appeared, marking the beginning of the city’s history. The port developed rapidly and turned into a significant center for trade and industry. 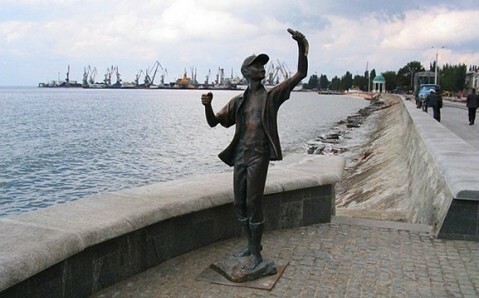 Berdyansk reached the peak of its prosperity in the late 19thcentury, when Pyotr Schmidt (the father of the naval officer and leader of the Sevastopol Uprising on the cruiser "Ochakov" during the Russian Revolution of 1905) was in charge of the city and the port. He did much to develop Berdyansk’s economy and enhance its beauty. Today, the central city park, one of Schmidt’s projects, is named after him. 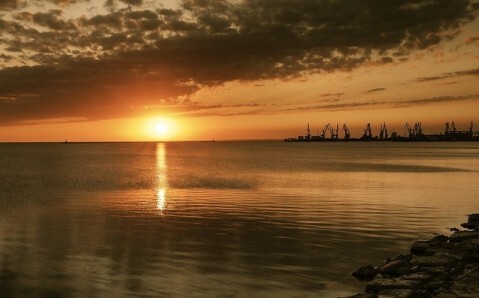 The picturesque Berdyansk Spit, near the city, is an amazing natural creation. This sand peninsula, which cuts into the Azov Sea for over 10 miles, serves as a defensive barrier for the city. Today, many sanatoriums and resorts are situated there. The most valued treasures of the Berdyansk Spit are its unique curing mud, mineral springs, and coastal salt lakes. The mud of Berdyansk is considered in many ways to be equal to that of famous the Dead Sea, and in some ways even exceeds it! And Berdyansk’s mud clinics are considered to be some of the best in Europe. The city is especially known for its children's camps. 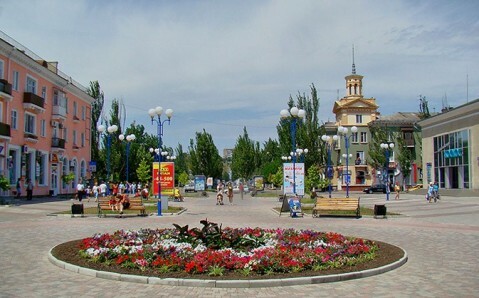 Berdyansk has as much to offer to those looking for a calm sojourn, as to those who like to relax in more dynamic ways. You can ride a water bike, take up windsurfing, or try the hang glider. Or, head off on a sea voyage by yacht or boat. 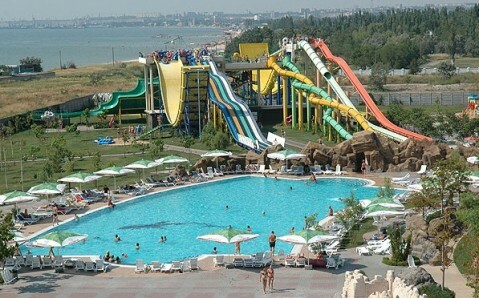 A dolphinarium and a water park - one of the largest on the Azov coast – are also at your disposal. And in the evening, move the party to a lively nightclub, or to a cozy coffeehouse or restaurant. 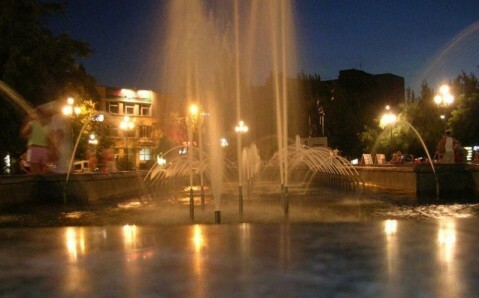 Berdyansk’s real draw, for which it became famous far beyond Ukraine’s borders, is its unusual monuments and sculptures. 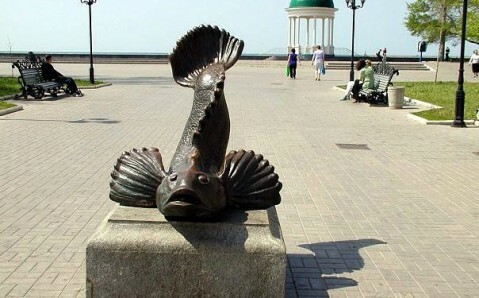 The majority of them are located on the boardwalk - one of the most beautiful on the Azov Sea shore. Only here can you see such uncanny sculptures as the monument to a bullhead - a small fish that saved the locals from starvation in rough times. There is also a monument to a plumber, to summer residents in the country, and many more! Berdyansk is a glowing and spirited city. Besides their improved health, bronze tans, and souvenirs, those who travel to the city bring home good spirits and a strong desire to return to the golden beaches of the Azov Sea!